Any bokken will break eventually. Fortunately, this isn’t one I made. Unfortunately, it still snapped on its owner. An ipe bokken that split about halfway up its length. 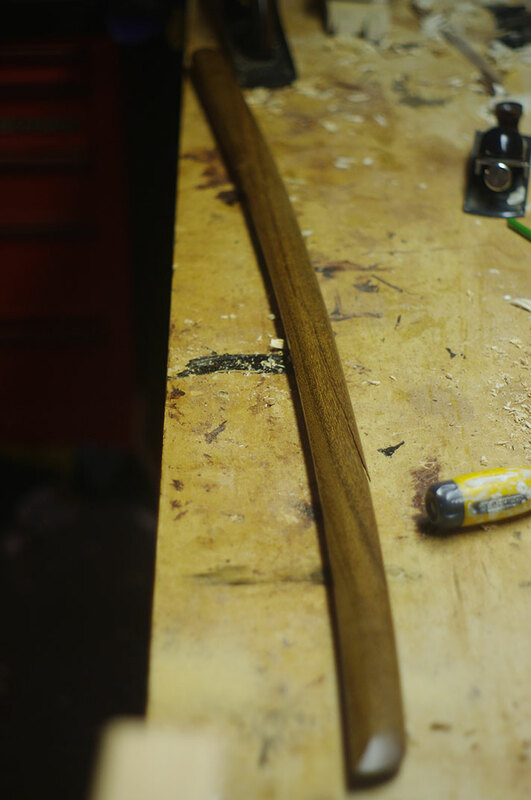 Once a bokken has split like this there’s not really much you can do to repair it. So let’s cut it up into smaller pieces. 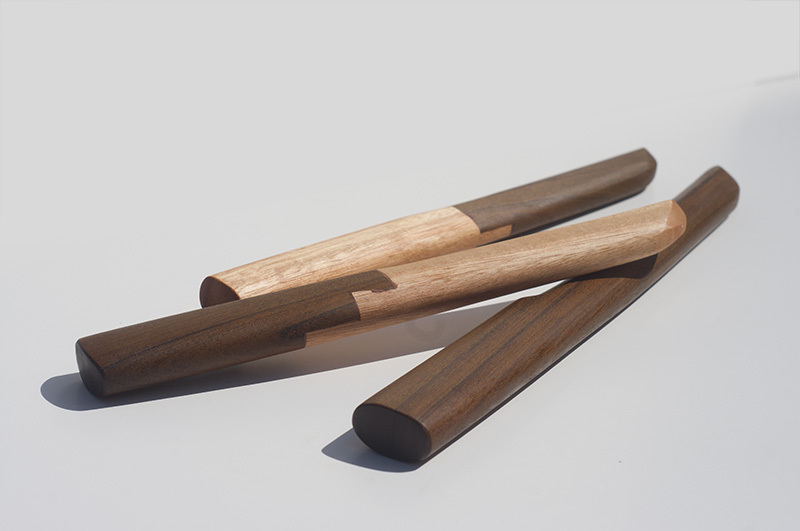 Depending on where and how bokken break, you can generally get a shoto (short sword) or tanto (knife) out of it. In this case, I’m able to get one whole tanto by cutting below the crack, and then cutting some extra length off the tsuka. The balance isn’t right and the curve is off, but that’s simple enough. That leaves us with enough for a too-short tsuka and a blade portion that’s too thin to join directly to the remaining tsuka. 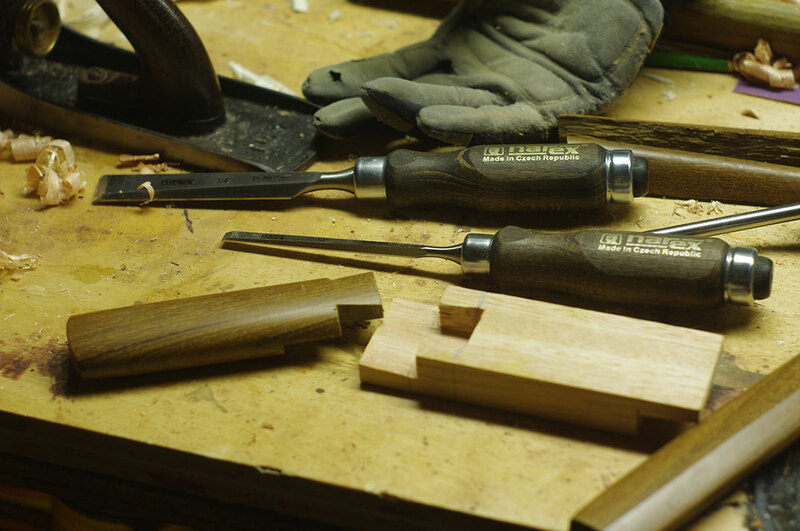 You can’t just glue end-grain to end-grain either – the joint is too weak. What to do? A half-lap dovetail joint. 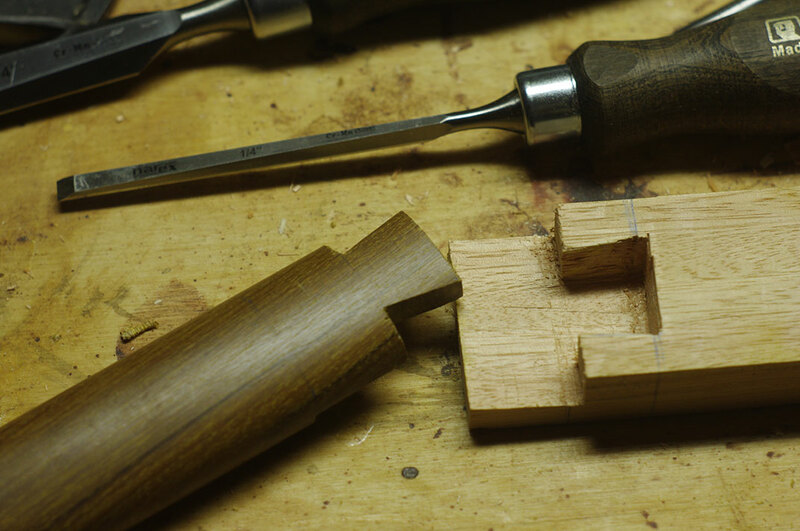 Basically, you cut away a portion of the thickness on each piece so they match up, with a dovetail to act as a key so it theoretically wouldn’t pull out. I cut a test piece out of a scrap of eucalytus and it should work. 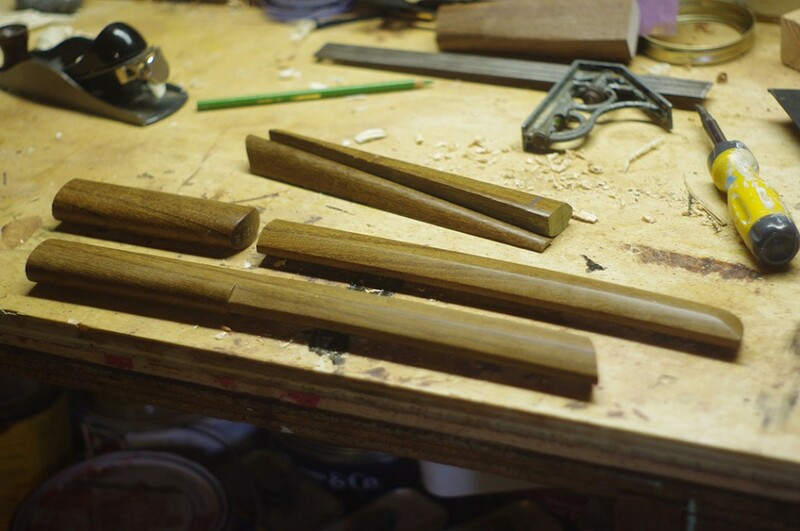 I’m not sure if I’m going to the eucalyptus to join the last two pieces of ipe, or just make two tanto. In the end, I was able to get all three tanto to work out. Interesting fact: Ipe dust turns red when it gets moist. On one hand, I’m glad that the little bit of dust I accidentally inhaled didn’t give me a massive nosebleed (gross, I know – my apologies). On the other hand, it’s still pretty nasty.